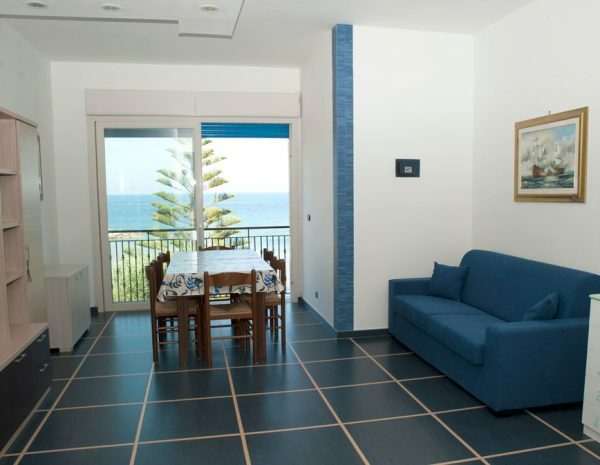 Tastefully furnished and equipped with every comfort, with a sea view. 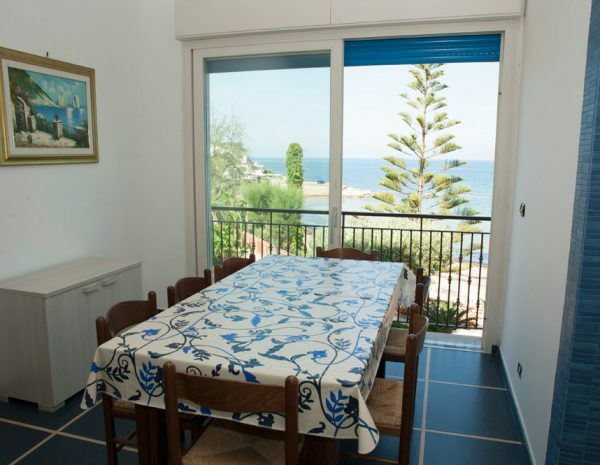 Ideal for families with children thanks to the sea in front with a low seabed. 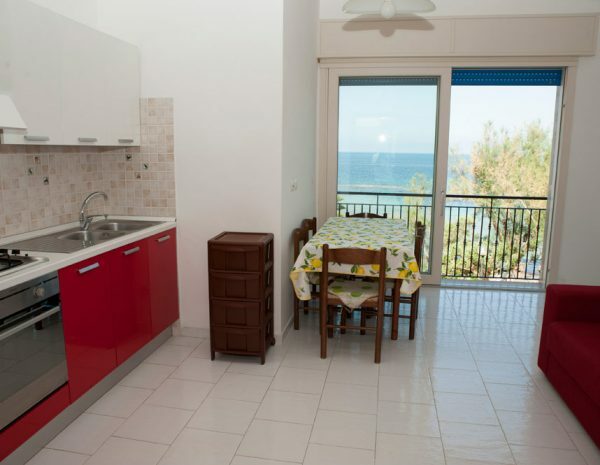 The apartments are located close to the sea. 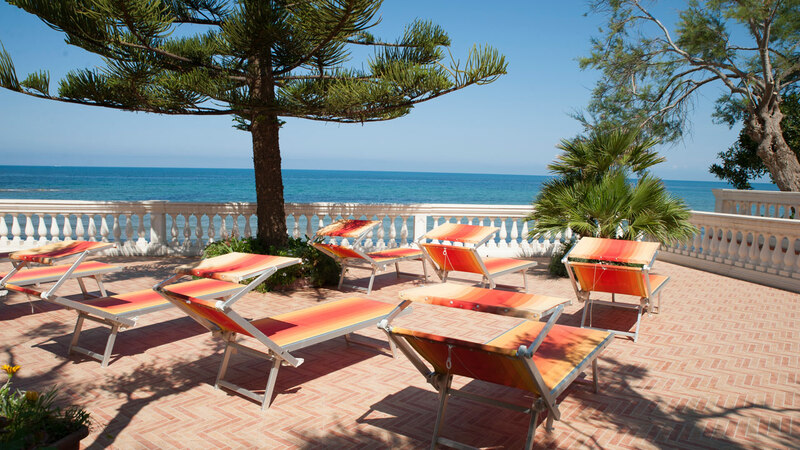 A garden and a solarium are available for all guests. 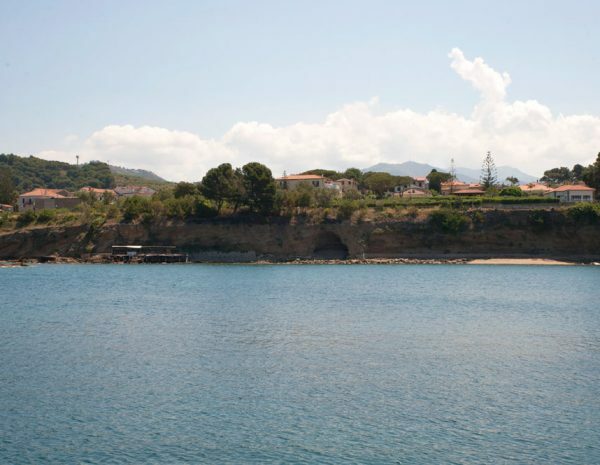 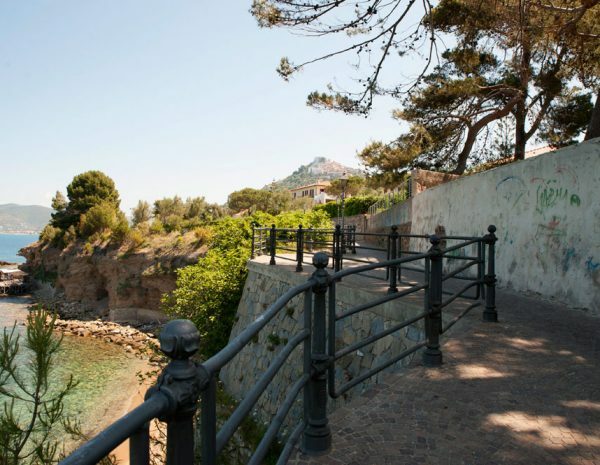 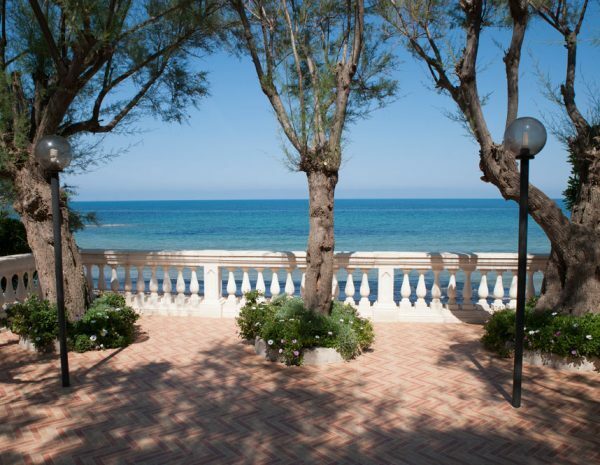 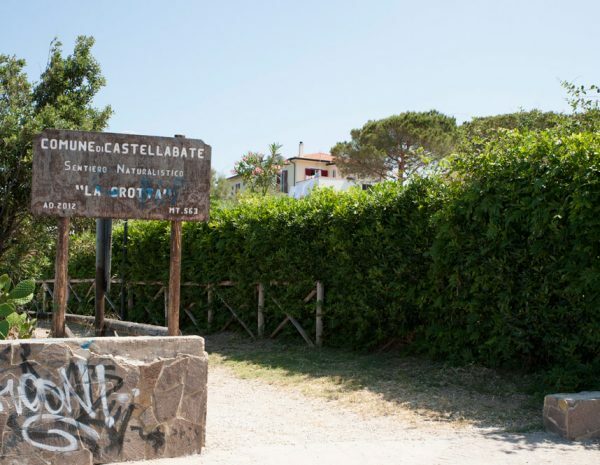 De Simone holiday home is located in Cilento National Park, at San Marco di Castellabate. 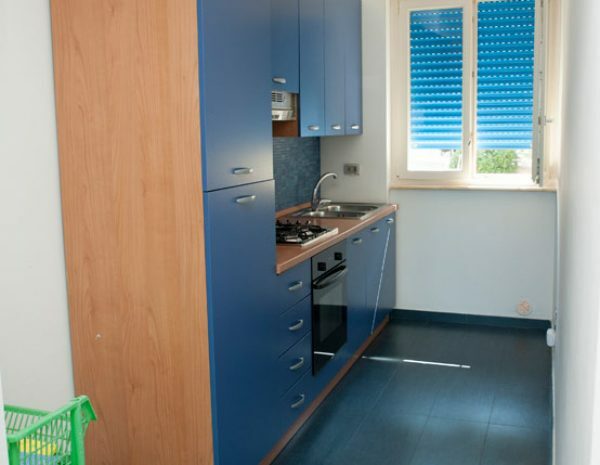 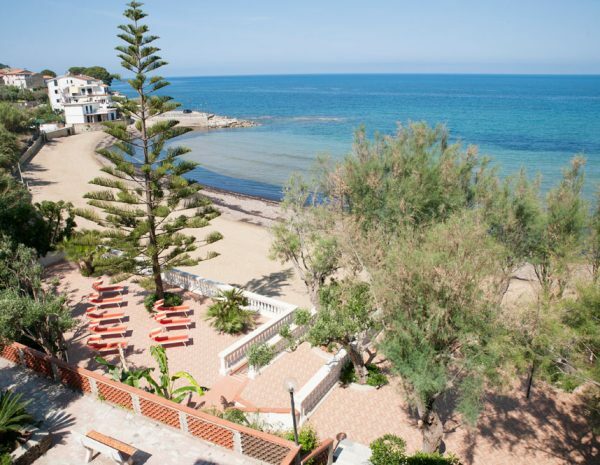 It consists of two buildings; one is located in the middle of Pozzillo beach, the other (called Zia Amalia) is in the town centre of the charming Cilentan locality, in Via Carlo De Angelis. 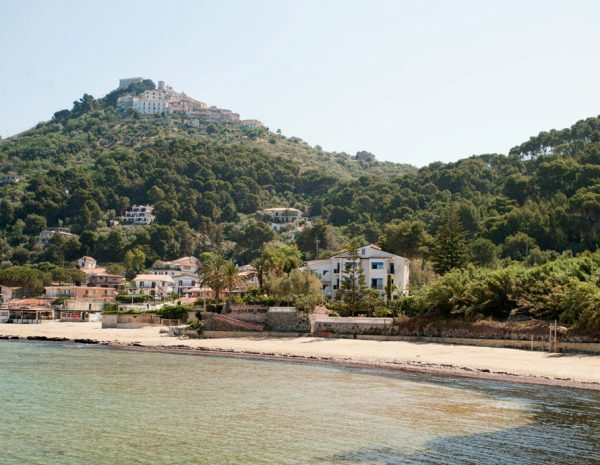 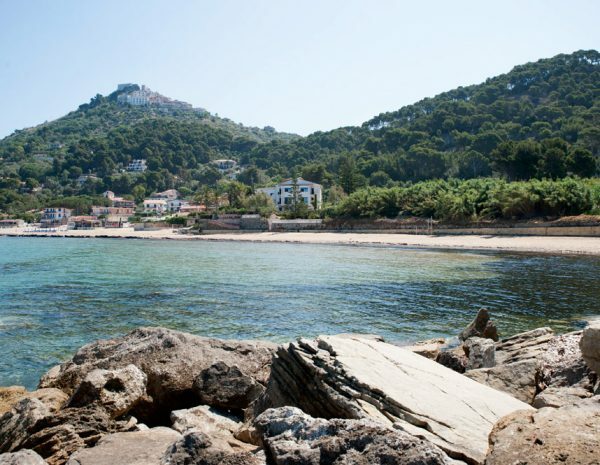 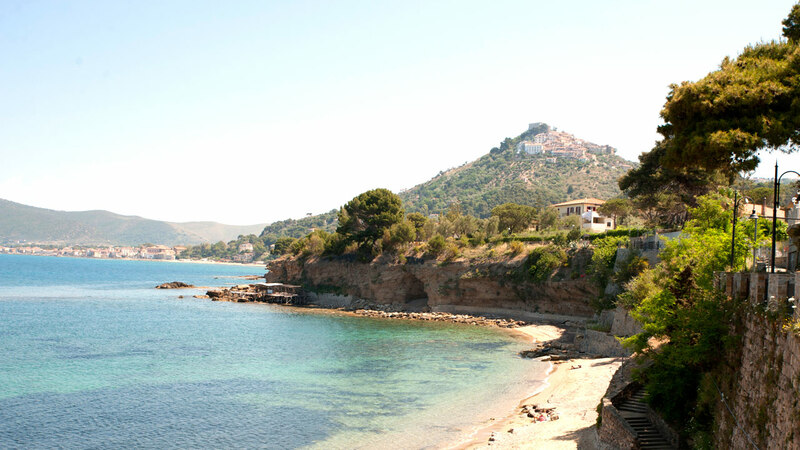 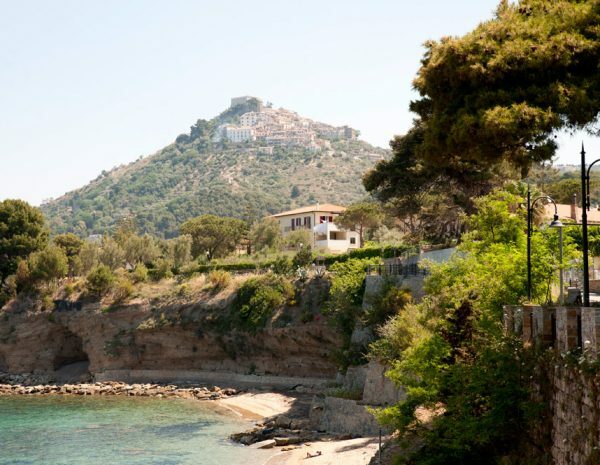 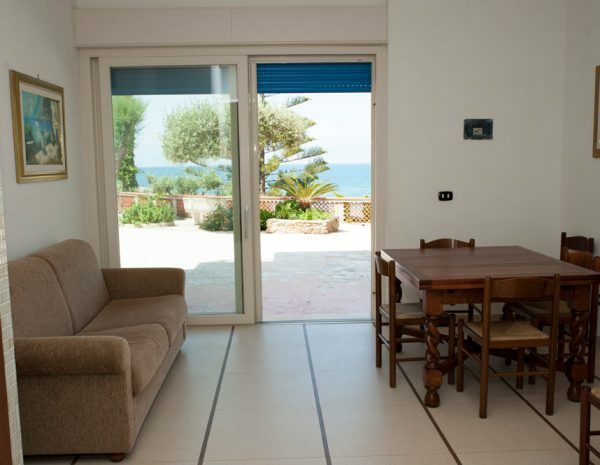 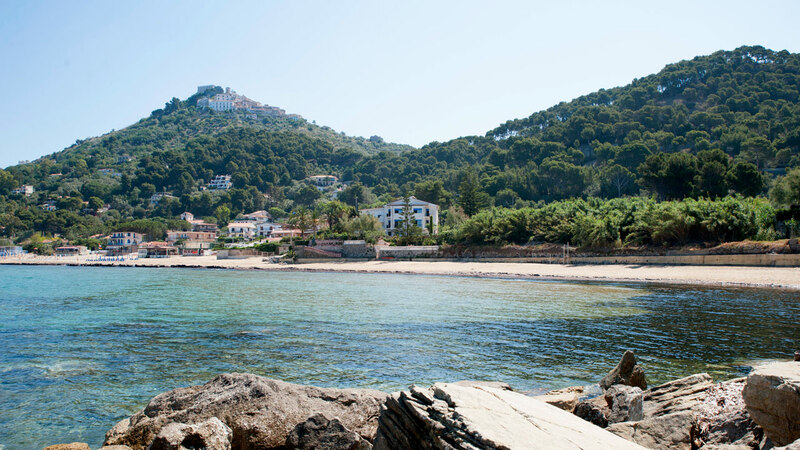 De Simone holiday home has apartments overlooking the beach of Pozzillo. 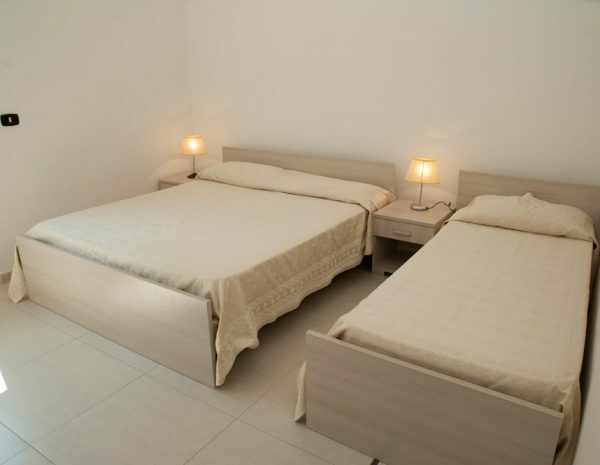 One and two-roomed apartments furnished with all comforts, fully equipped kitchen, air conditioning, suitable for families or couples who do not want to renounce on space and comfort. 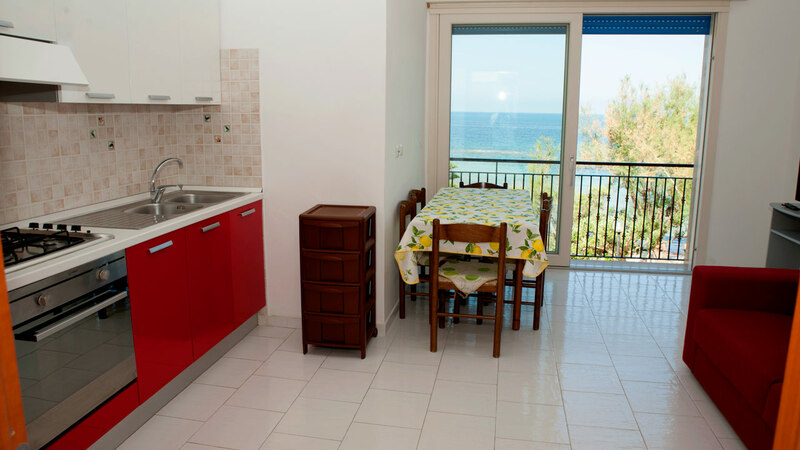 One and two-roomed apartments furnished with every comfort, fully equipped kitchen, air conditioning, are available and suitable for families or couples who do not want to renounce on space and comfort. 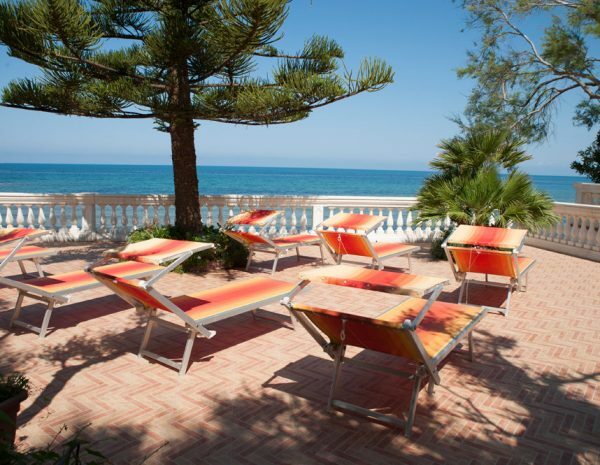 The solarium overlooking the sea has sun loungers and umbrellas, a few stairs lead to the sea. 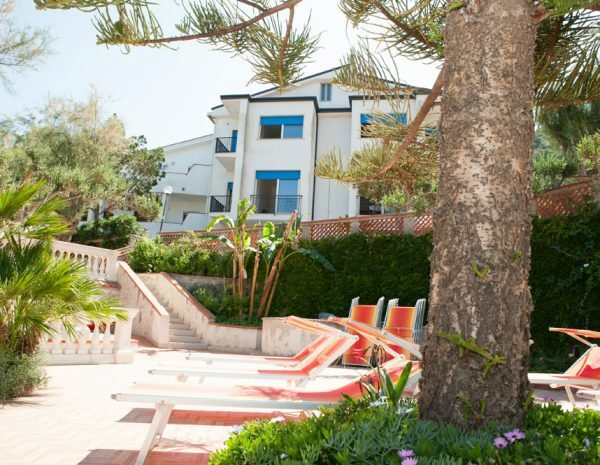 An exclusive oasis for enjoying moments of relaxation, despite being within walking distance from the beach and seaside activities.